Persuading clients to sign up for coverage can ensure top-notch patient care, improve a clinic’s bottom line and boost a veterinarian’s production pay. Try these seven strategies. Don’t wait for clients to ask about pet insurance. Bring it up. Many clients aren’t aware that pet health insurance exists. A veterinarian has many reasons to recommend pet health insurance to her clients. Among them is the fact that insured pet owners are more likely to bring the animal in at the first sign of illness or injury rather than hold back out of “fear of the big bill.” And they are much more likely to say “yes” to optimum treatment rather than look for corners to cut. A national survey conducted by the North American Pet Health Insurance Association, the trade association that represents virtually all the pet insurance companies serving the United States and Canada, found that veterinarians identified improved compliance as the No. 1 benefit of pet health insurance. Yet, one of the most important reasons to recommend pet health insurance is financial. Pet health insurance generates added revenue for the practice and added income to individual veterinarians paid on production. According to consumer research done by NAPHIA, pet owners spend 29 percent more annually on veterinary care for insured dogs versus uninsured dogs and 81 percent more on insured cats. This was an apples-to-apples comparison; both the insured pets and uninsured pets visited the veterinarian regularly. 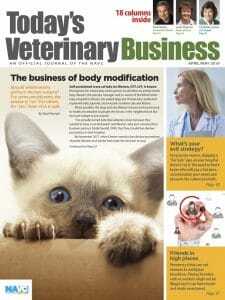 The American Veterinary Medical Association approached the issue differently. It engaged experts at Mississippi State University to conduct an economic study on the impact of pet health insurance. Using a sophisticated econometric model, the Mississippi State researchers calculated that a dog owner with pet health insurance was likely to spend $211 a year more for veterinary services than those without insurance. If you’re an associate veterinarian, pet insurance can make a meaningful contribution to your annual income. To demonstrate, let’s use the AVMA’s number. Assume that only 25 of your canine patients are insured, a reasonable expectation. That’s $5,275 in additional veterinary expenditures per year. If you are paid on production at a rate of 22 percent, that’s more than $1,000 — $1,160.50, to be exact — in added income. Double the number of insured dogs to 50 by actively recommending insurance to your clients and you could make a total of $2,321 more per year in production pay. It doesn’t take very many insured pets to impact the practice financially. Let’s assume you have a three-doctor practice. Probably 80 to 100 of your patients have pet health insurance. Just 100 more insured dogs could add more than $20,000 in revenue to your practice in a year’s time. With a little effort and consistent focus, especially on clients with new puppies and kittens who want to do the best for their pet, it’s entirely reasonable to increase the head count to 200 or 300 more insured pets — still a small percentage of your total patients. Yet 300 insured dogs can mean as much as $60,000 more in revenue for your practice annually. Here’s another way to look at it. Having a dog on pet insurance is even more valuable to the practice than selling parasite control for that pet. Based on today’s prices, figuring a 100 percent pharmacy markup, a 12-month supply of Bravecto and Heartgard Plus for a 20-pound dog generates about $175 in margin to the practice. That’s 20 percent less than the added value of an insured dog. Every veterinarian understands how important parasite control is to the pet as well as to the practice’s revenue. It’s not uncommon for a practice to make 8 to 10 percent of its total revenue from flea, tick and heartworm product sales. Imagine how much revenue the practice could add if it made the same effort to recommend pet insurance as it did to prescribe parasite control. And that added revenue would be for medical services, not products! Raising the level of pet insurance usage to the same level as parasite control compliance might not be practical in the short term. But even small gains can pay big dividends. 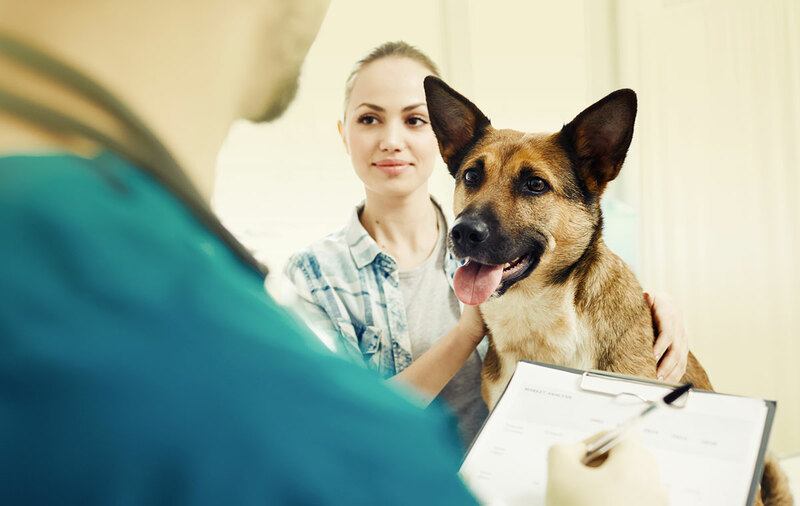 In both the NAPHIA research as well as in the AVMA study, pet owners said they were far more likely to purchase pet health insurance if their veterinarian actively recommended it. In the AVMA study, nearly 50 percent of pet owners said they would more likely purchase. “Actively” is the operative word here. Most veterinary practices only passively encourage the use of pet health insurance. Displaying insurance brochures in your waiting area or exam room, answering questions about insurance when asked and maybe mentioning insurance only occasionally are passive recommendations. In fact, according to the research, most pet owners don’t even consider these to be recommendations at all. So, how do you build an active educational program for pet insurance? Here are recommendations from practices that do it well. More gets done if someone is responsible for managing pet health insurance for the practice. This person might be the practice manager or hospital administrator, or an enthusiastic receptionist or nurse. This person will make sure the practice’s insurance education program gets implemented and is the go-to person when anyone has questions. Clients are much more likely to check out pet insurance if you recommend only one or two companies. Give a list of several and clients won’t get around to investigating. On a new client’s first visit. On an existing client’s first visit with a new pet. On a pet’s first visit to your practice. Because pet owners purchase policies directly from the insurance company, many clients might already be covered. Some, but not all, have probably informed you. Be sure to ask every client which insurance provider they have. It’s a great way to start the conversation. Ask at every appointment because they might not remember to tell you. In moments of crisis when clients face a major medical decision for their pet, it’s important for the practice to know if the pet is insured. The client might not remember in the heat of the moment. Once you know that a pet is insured, be sure to put a notation in the patient record. Asking about insurance also alerts pet owners that it’s available. Perhaps nothing makes it easier for clients to say “yes” to pet insurance than the practice handling the claims. In the NAPHIA study, pet owners said they were 85 percent more likely to purchase insurance if the practice submitted the claims. The diagnosis and treatment terminology will be correct if the practice submits the claim. This means fewer callbacks from the insurance company. The claim will be submitted in a timelier fashion and the client will be reimbursed quickly, probably before she gets her credit card bill. Many clients with pet insurance simply don’t get around to submitting claims promptly. It’s human nature. Claims submission is a value-added benefit to the client and helps bind the owner to the practice. It’s one less reason for the client to shop for veterinary care. Some, but not all, pet health insurers offer no-cost trial policies. Pet owners love them. Be sure to inform clients if the company you support offers no-cost trial policies. The most credible endorsement of pet health insurance your practice can provide is insuring employee pets. In fact, 71 percent of pet owners in the NAPHIA study said they were more likely to purchase insurance if the practice itself used it. And, when your employees have insured pets, they will become vocal advocates. The most important thing about using pet insurance as an employee benefit is to be fair. Some practices insure one pet per employee. Others contribute a certain amount per month toward insurance. Many increase the benefit level with seniority. With a little bit of effort, every veterinarian and practice has the opportunity to significantly increase the number of insured patients. Not only will those dogs and cats get better medical care, but the practice will generate more revenue. Truly, pet health insurance pays. John Volk is senior consultant at Brakke Consulting. An expert in strategy and communications, he has consulted with clients in the pet insurance industry for more than 20 years. What is your practice IQ?